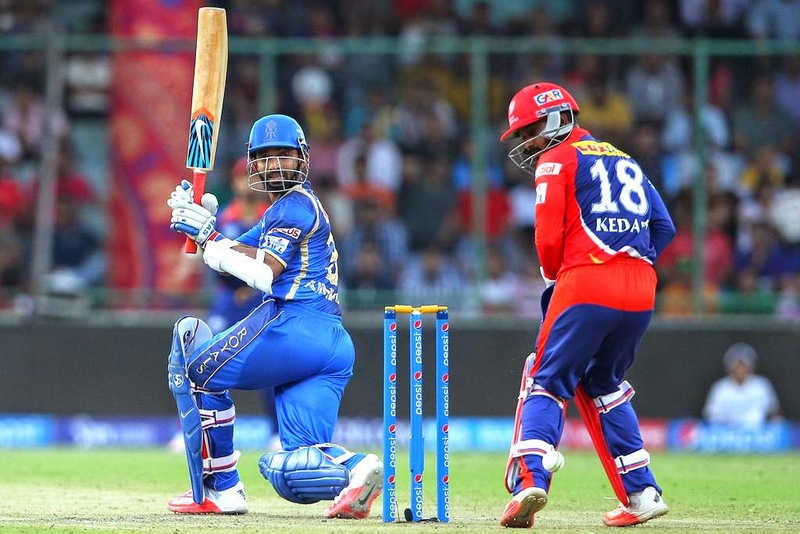 The clash between the Royals and the Devils was one of those that went down to the last over. It was a great affair providing full value for their money to the viewers. Steven Smith, the Australian wonder and Royals captain opted to bowl first after winning the toss at the Feroz Shah Kotla stadium, Delhi. 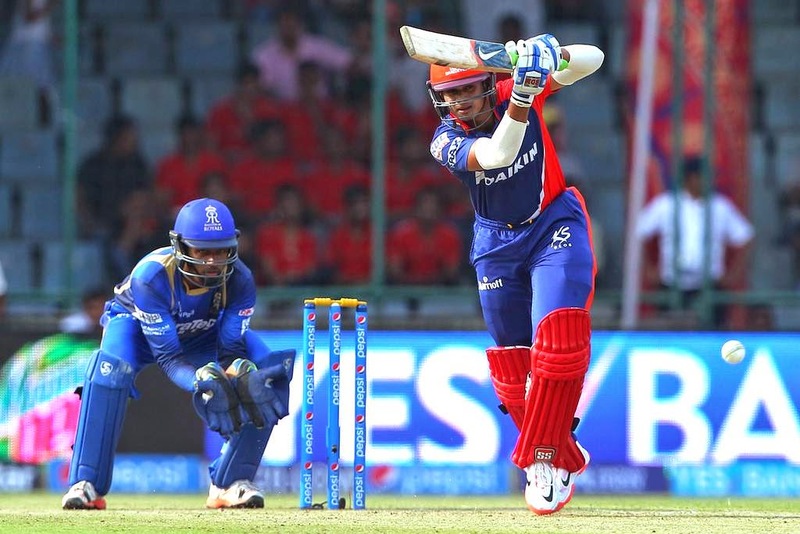 The Daredevils had the best of the starts as both their openers were middling the ball well and scoring with ease. The first wicket fell with 45 already on the board after 4.4 overs. Pravin Tambe, the leggie sent Mayank Aggarwal back to the hut. He scored a fluent 37 off 21 deliveries consisting of 7 boundaries. Skipper JP Duminy, the South African all-rounder joined Shreyas Iyer out in the middle who was looking in good nick. These two stitched on a good partnership of 48 runs as the second wicket fell with 93 runs scored after 11 overs. In came Yuvraj Singh, the explosive Indian all-rounder and also the most expensive player purchased at the auction this year. He showed his natural game as he made his way to 27 off just 16 deliveries before falling to South African speedster, Chris Morris. The wicket saw another all-rounder come in the form of Angelo Mathews, the Sri Lankan skipper. He emulated the same score as Yuvraj but scored it in 14 balls. A good batting show lead the Devils to 183/4 after 20 overs. Rahane looked confident after a good World Cup. The Rajasthani openers came in to bat with a huge total to chase down. They had to lay the foundation for others to come in. But the Royals were not fortunate as they did not get a start like the Devils. Sanju Samson, the upcoming superstar was dismissed for 11 by Angelo Mathews thanks to a good catch by Yuvraj. Rahane was looking good at the other hand and scoring at a good rate. Steven Smith, the Royals captain came in to join Rahane. But his stay too was a brief one as after scoring 10 runs he fell to Mishra, the leg-spinner. The rest of the batting took them home with Karun Nair (20) and more importantly Deepak Hooda’s knock of 54(25) did the trick. The 19 year old played freely without any pressure and made his statement. He was declared the Man of the Match for his glittering and match-winning knock. Morris and Southee took Royals home. 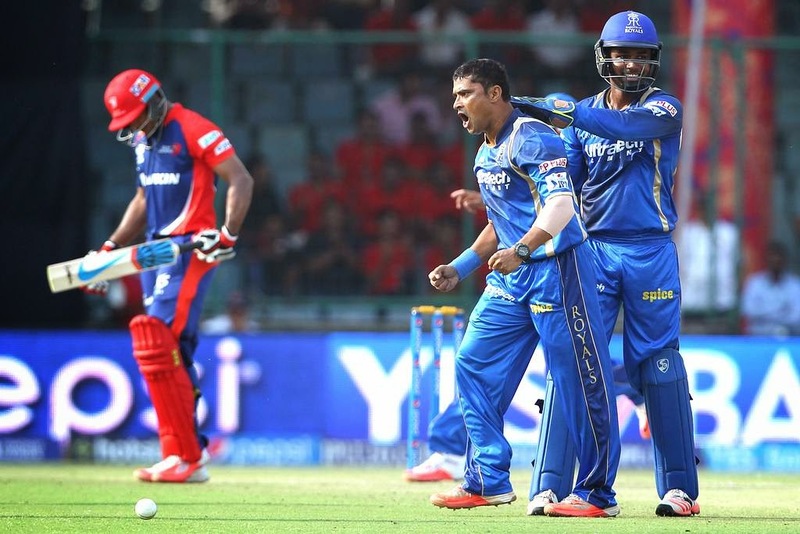 Rajasthan Royals condemn the Delhi Darevils to a loss at their home ground.